Chances are good that a decent percentage of your Internet activity happens on your smartphone or tablet, either at your house, at the office, or while on vacation. Even when away from your home network, it remains vital to keep an eye on your Internet speed. The major wireless carriers constantly trumpet the quality of their networks, and it is important to hold them to their promises. Performing a regular mobile Internet speed test needs to be part of your schedule along with testing the bandwidth at home. With that in mind, here are five quick tips to improve your mobile Internet speed. When testing your Internet speed on a mobile device, Flash-based speed tests aren’t the way to go. They won’t run at all on an iOS device, so your iPhone and iPad are out, and Flash still runs sluggishly on Android, possibly skewing your results. When using a browser-based speed test on a smartphone, HTML5 remains your best option. If you are planning on downloading any large files or app updates, perform them during off peak hours, as wireless carriers’ networks are typically less crowded at this time. Avoid doing this activity during the day. Advertising on websites takes up a significant amount of bandwidth. A variety of ad blocker apps exist for the iOS and Android platforms. Installing one on your smartphone can greatly reduce the amount of data downloaded on a daily basis, which speeds up accessing the content you actually want to see. While it doesn’t necessarily relate to raw Internet speed, having too many apps running uses up your mobile device’s internal memory causing overall performance to suffer. So it seems like your Internet service is slow when your smartphone is the actual problem. Be sure to regularly “force quit” apps (or periodically restart your device) to keep everything running smoothly. Your Case Could Hamper your Mobile Signal? 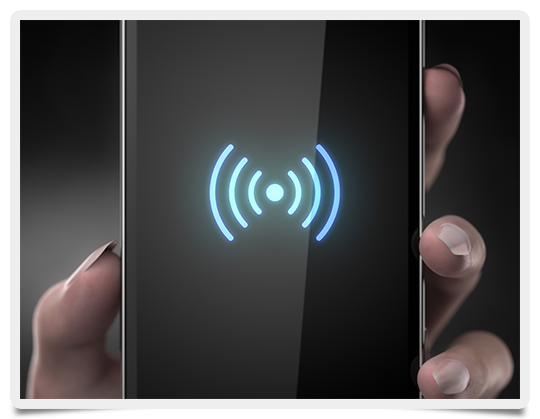 In some cases, your smartphone case may actually interfere with your device’s antenna. Run two speed tests with the case on and off and see if the test results vary. If you don’t want to give up your stylish case, consider one of the many apps on iOS and Android that help find the best mobile and WiFi signals in your location. Ultimately, your smartest strategy to improve your mobile Internet speed is to regularly test your bandwidth while keeping track of the test results. Pay attention to any environmental factors at home or on the road that could hamper signal quality. Make sure you get the bandwidth you deserve!